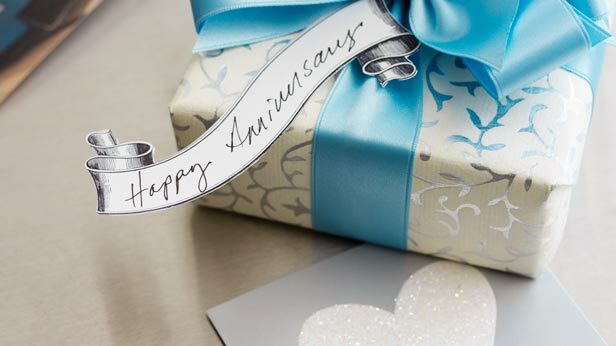 Meaningful anniversary gifts are essential statements of continued love in marriages. Grow a shrine, find jewelry and other crafts from out of this world, or make a one of a kind gift and dazzle your wife. For spring and summer anniversaries, planting a flower garden is a meaningful way to dedicate lasting space to your beloved wife. Take your garden one step further with decorative elements such as tile mosaics or even artfully arranged rocks. Building your anniversary garden requires a little research. You’ll need to know which flowers work best for your climate and soil type. The more you know about the growth of flowers you plant, the easier it becomes to anticipate your design. Begin by focusing on perennials instead of annuals. Although annuals can be beautiful, the idea here is setting up the foundation for a garden which will last as long as your love for your wife. The internet is awash with flower guides if you need a little more direction. Cutting edge style and tradition often clash. This makes buying the perfect piece of anniversary jewelry for wives difficult. Jewelry appropriate for anniversary gifts to wives tend to reflect the traditional and classic styles so-regularly associated with marriage. Beyond mainstream jewelry readily available, there is a thriving underground for a husband searching for the right piece for a wife whose tastes veer from the typical. A quick look at one of these jewelry makers, Moonglow Jewelry, should begin to ease your mind if style is a dilemma and jewelry is your choice. Moonglow’s work is both beautiful and dark. It carries the weight of timelessness well-suited for an anniversary gift but constructed with a definite edge. A quick search for “anniversary gifts” on Etsy reveals a whole new world of gift ideas for your wife. We could devote a book to the unique anniversary ideas constantly flowing through Etsy. Etsy has revolutionized the craft market, thanks to its function of connecting craftspeople with a global consumer base. The site makes it easy for potential customers of independent producers to browse items and zero in on something special. Finally, ideas found on Etsy and elsewhere can be improved upon if you’re creative and industrious. Just as the internet is awash with flower planting guides, interesting small jewelry makers, and innovative handmade crafts, it is also awash with blueprints for do-it-yourself gifts. The benefits of creating a do-it-yourself gift for your wife are twofold. First, leaving the trace of your hand and mind as part of an anniversary gift speaks volume about your love. Second, do-it-yourself projects place creativity above the size of your wallet. This anniversary, give a gift draped in loving thought. Dazzle our wife and restate your commitment for another wonderful year. Top 6 Fall Lighting Ideas For Your Sunroom Fall has arrived and with it, a completely new color pallet to work with. How Business Security Pays For Itself? What Should You Do Before Job Relocation?